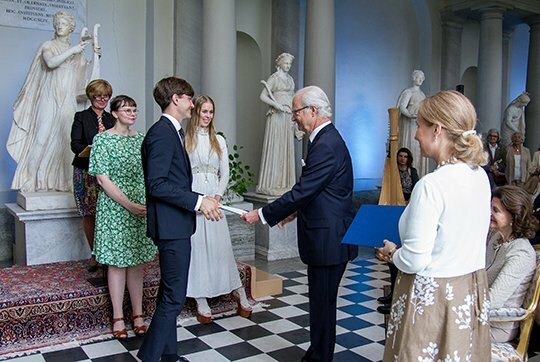 National Day of Sweden is a national holiday observed in Sweden on 6 June every year. 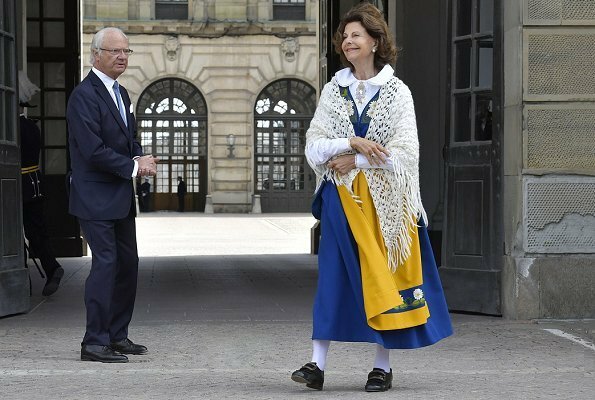 King Carl Gustaf and Queen Silvia attended National Day celebrations at the Open Palace, Royal Palace of Stockholm. Entry into the Royal Palace on National Day is free. 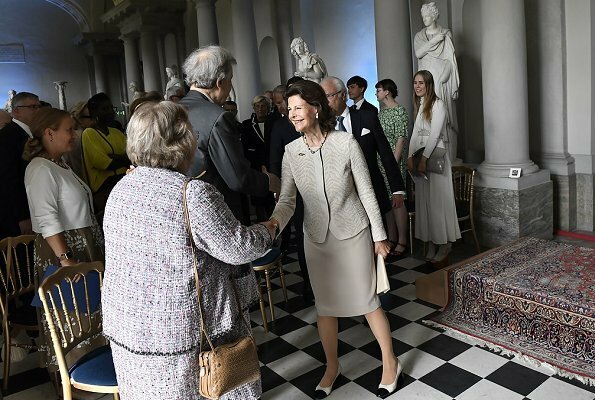 Then, King Carl Gustaf, Queen Silvia and Prince Carl Philip attended a scholarship award ceremony at the Royal Palace’s Gustav III Antique Museum. 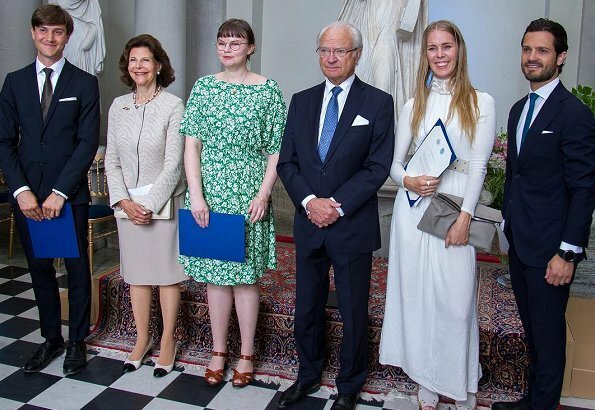 Niedliches erstes Foto, wo sie schelmisch lächelt und der König etwas konsterniert aus der Wäsche guckt. Die Tracht steht ihr gut und ich bin froh, dass der Joker fast nicht mehr zu sehen ist! 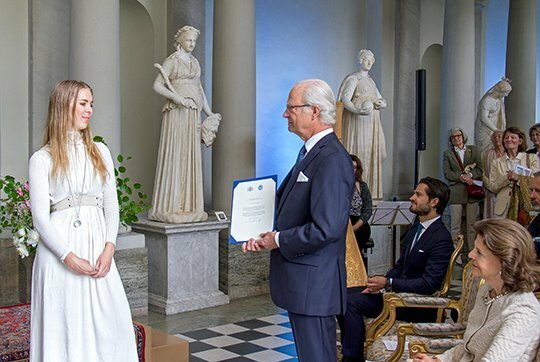 I asked this last year - why do only the women wear national dress (see also Estelle's photo with her brother)? 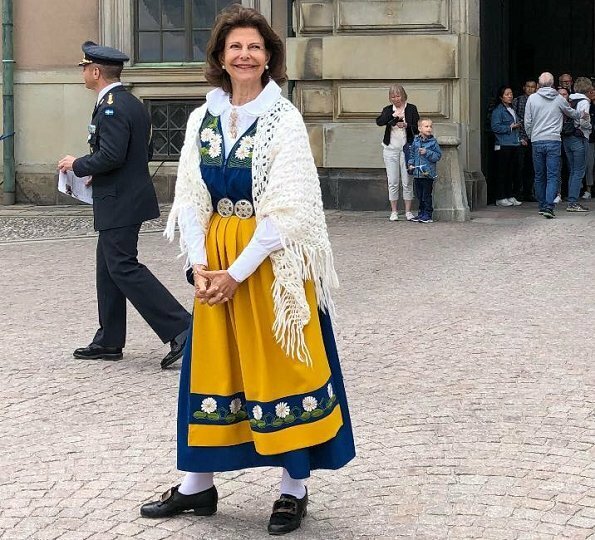 In Norway I think all the royals wear the national costume. On national day why only the women wear national outfits? A very busy week for the RF,the Queen looks happy,she wears the National Costume very well.